We posted this week’s design tips on Face­book, Twitter and Pin­terest. In case you missed them, here is a quick review…plus a few extra photos for added inspiration. 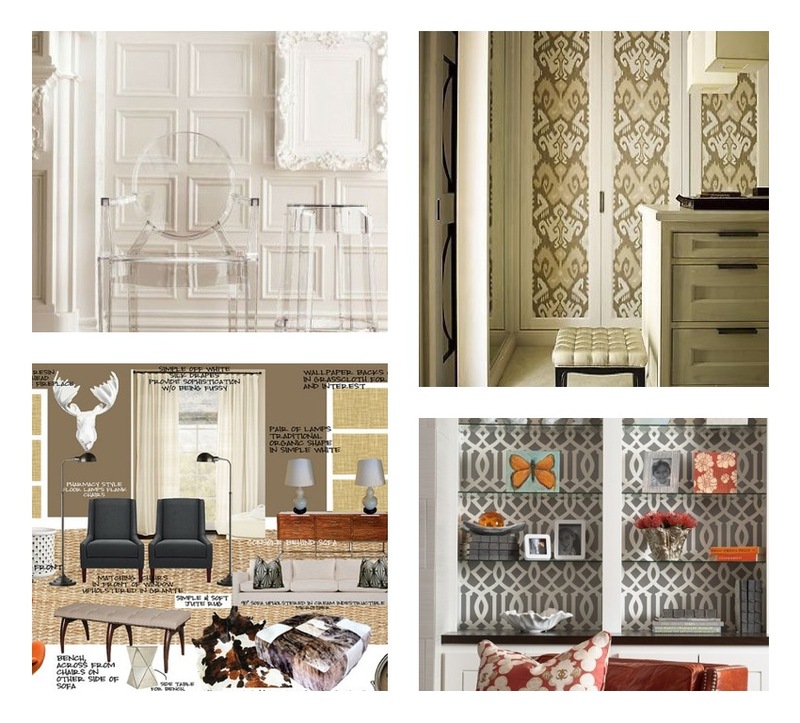 Create a sample board when plan­ning a room. 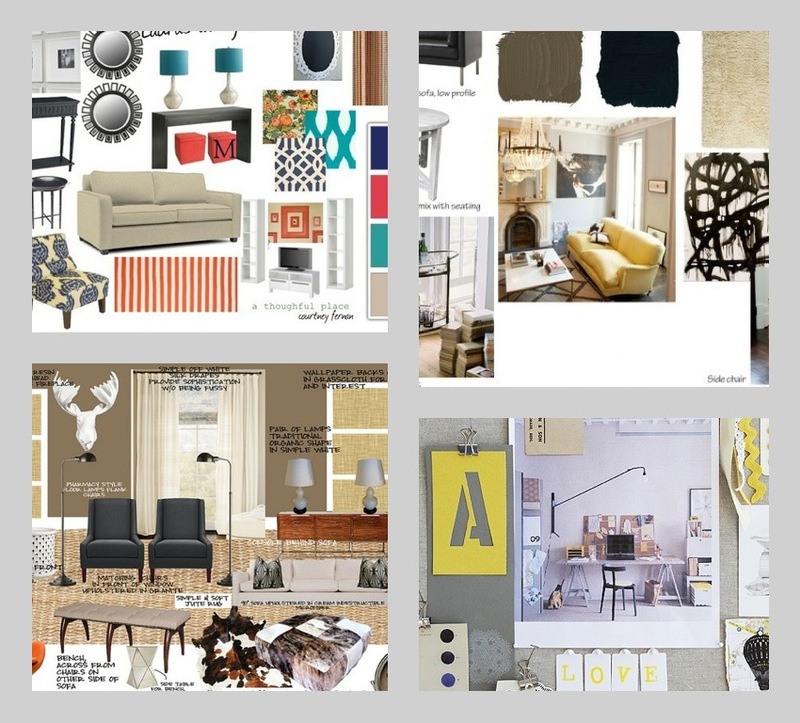 A sample board is a col­lec­tion of fabric scraps, paint chips, finish sam­ples, flooring bits, photos of fur­nish­ings that tells the room’s design story. Make it your own when you’re dreaming up a room makeover. It is fun and will help you main­tain your vision for your new space. Love your closets. 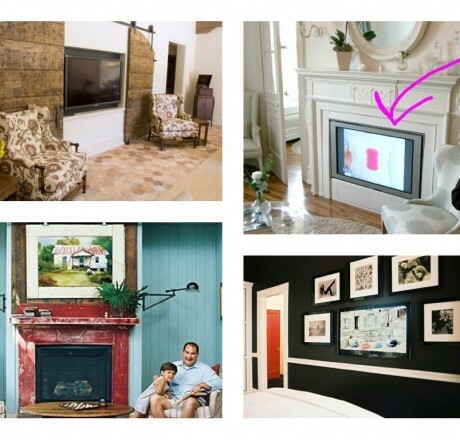 Paint them, paper them, hang pic­tures in them to inspire you. And def­i­nitely light them.Wednesday’s Tip:Lucite and acrylic fur­nish­ings save visual space and pro­vide a modern and sleek look in any room. 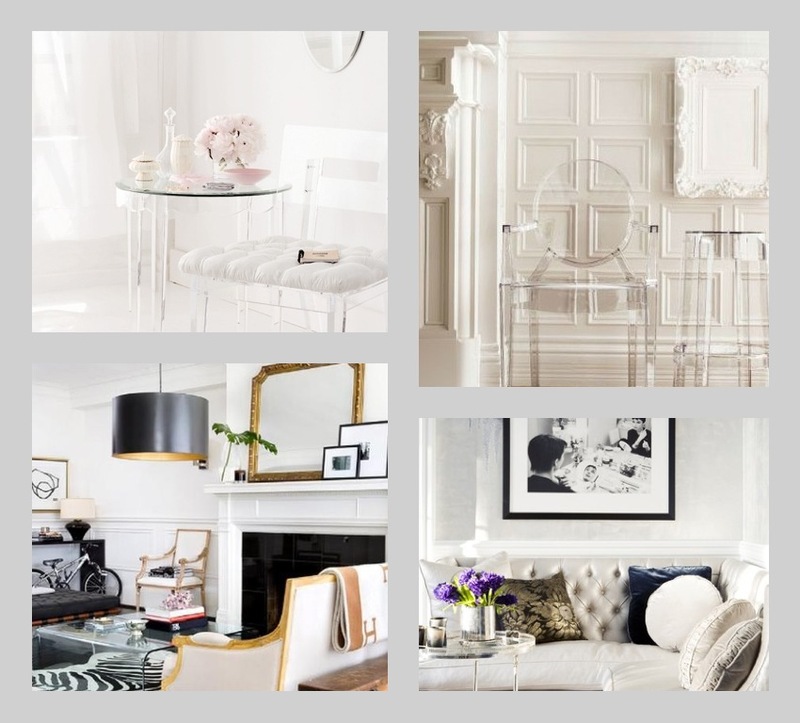 Lucite and acrylic fur­nish­ings save visual space and pro­vide a modern and sleek look in any room. 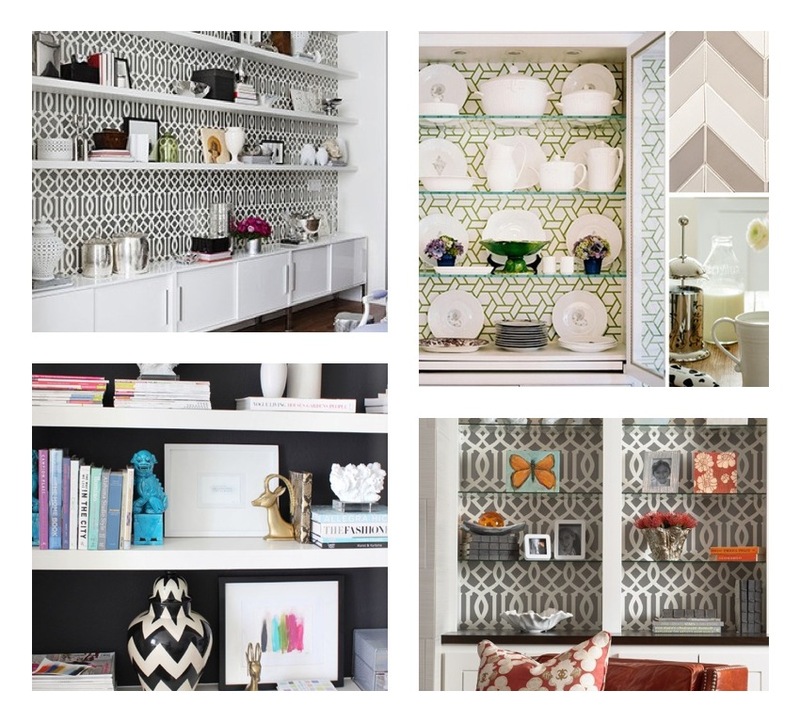 Use wall­paper on the back of book­shelves to add dimen­sion, depth and interest to your space. Hide your T.V. or help it blend into its surroundings! 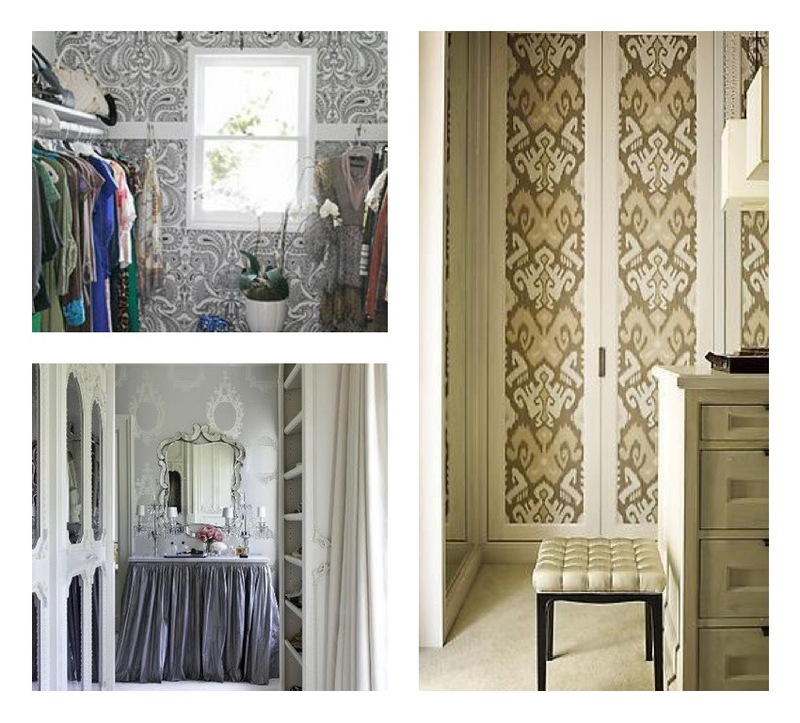 Which design tip are you going to try?